There are 9 Memory Care Facilities in the Castle Rock area, with 8 in Castle Rock and 1 nearby. The average cost of memory care in Castle Rock is $5,085 per month. This is higher than the national median of $4,650. Cheaper nearby regions include Centennial with an average starting cost of $4,217. To help you with your search, browse the 2 reviews below for memory care facilities in Castle Rock. On average, consumers rate memory care in Castle Rock 4.5 out of 5 stars. Better rated regions include Parker with an average rating of 5.0 out of 5 stars. Caring.com has helped thousands of families find high-quality senior care. To speak with one of our Family Advisors about memory care options and costs in Castle Rock, call (855) 863-8283. With just a little over 62,000 residents, the town of Castle Rock, Colorado, has a small-town feel despite being relatively close to Denver. Although only about 9.1 percent of those residents are age 65 or older, experts project that more than 110,000 Coloradoans will have Alzheimer's disease or other forms of dementia by 2025. This growing population requires specialized care, and Castle Rock is home to eight memory care facilities designed to help seniors with dementia live safely and comfortably. In Castle Rock and all of Colorado, memory care facilities are regulated by the Department of Public Health and Environment. Memory care facilities must meet special guidelines in order to care for people with dementia, including providing secure facilities and outdoor spaces. Staff members must also receive at least eight hours of specialized training each year. Colorado's Front Range tends to be an expensive place to live, and Castle Rock is no exception. The overall cost of living is ranked at 155.3, which is significantly higher than the U.S. average of 100. However, the majority of that is due to high housing and transportation costs, which may not affect memory care residents. Grocery costs, healthcare and utility prices are all slightly below the national average. 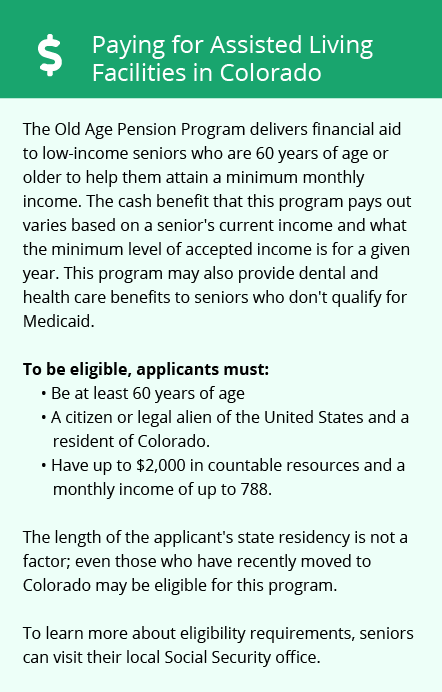 Colorado's tax policies are generally good for senior residents, which can help people living on fixed budgets. Residents aged 65 years or older can deduct up to $24,000 of their retirement earnings each year, including income from social security benefits, pensions and retirement funds. Groceries and medications are exempt from sales tax. Castle Rock's climate is fairly comfortable, although winters can be cold and snowy. Summers tend to be mild and sunny, with highs in the 80s. The area receives about 71 inches of snow a year, which can make it difficult for seniors to enjoy the outdoors during winter months. Winter lows are often in the teens, but sunny winter days can warm up considerably. The town of Castle Rock is generally a safe place for seniors to live, with crime rates significantly below both state and national averages. The violent crime rate is 19.3, which is much lower than the U.S. average of 31.1, and the property crime rate is 16.5 compared to the U.S. rate of 38.1. Despite being only 40 minutes away from Denver, it is also significantly safer than the Denver metro area. Memory Care costs in Castle Rock start around $5,085 per month on average, while the nationwide average cost of memory care is $4,800 per month. It’s important to note that memory care rates in Castle Rock and the surrounding suburbs can vary widely based on factors such as location, the level of care needed, apartment size and the types of amenities offered at each community. Castle Rock and the surrounding area are home to numerous government agencies and non-profit organizations offering help for seniors searching for or currently residing in an assisted living community. These organizations can also provide assistance in a number of other eldercare services such as geriatric care management, elder law advice, estate planning, finding home care and health and wellness programs. To see a list of free memory care resources in Castle Rock, please visit our Assisted Living in Colorado page. 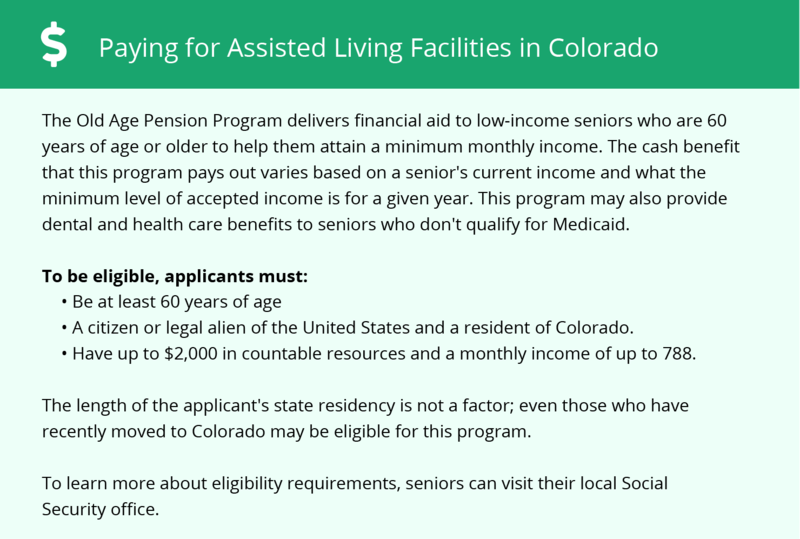 Castle Rock-area assisted living communities must adhere to the comprehensive set of state laws and regulations that all assisted living communities in Colorado are required to follow. Visit our Memory Care in Colorado page for more information about these laws.